Debbie McDermott was born in Bulawayo, Zimbabwe, where she met and married her husband Sean in 1990 and subsequently migrated to New Zealand. Initially, Sean moved to New Zealand in 2005, employed by a Steel Mill at Glenbrook, and 10 months later Debbie and their two sons, Daniel and Peter joined him. The family settled in Waiuku. Indeed, Debbie McDermott is a skilled writer as well as a magazine editor and Level 1 competition judge for New Zealand Christian Writers Collective. Debbie has a real passion for inspiring Christian writers to become so good at their craft that their published works lead the market. Debbie achieves this through publishing quality writing tutorials, articles and stories in The Christian Writermagazine. Debbie McDermott and the other competition judges of the collective provide objective critiques that are full of useful writing tips for both the entrants and the readers of the magazine. Debbie enjoys being a judge as it’s not just a matter of awarding first, second and third place; rather it's about coaching, mentoring, teaching and encouraging each entrant to take their writing to the next level. Competition judges did this for her in her early years and it is this has contributed to her becoming the editor and judge she is today. Debbie counts it a real privilege to now pass on what she has learnt to other aspiring writers. Debbie spends the rest of her time, writing. It was not long after Debbie’s arrival in New Zealand that Sean encouraged her to write the book she had always wanted to. So Debbie’s writing journey began in earnest, but not all was plain sailing and life was to take an unexpected turn. In 2007, Sean McDermott was diagnosed with a large tumour. The chemotherapy sessions took their toll on them both, but despite the setbacks Debbie’s manuscript steadily grew. In October that year, she heard about New Zealand Christian Writers for the first time through a friend. This led to her joining the collective so that she could attend a New Zealand Christian Writers’ workshop being hosted by John and Elizabeth Sherrill (ghost writers of Cross and the Switchblade, The Hiding Placeand God’s Smuggler, as well as authors of many other books). Debbie snatched up the opportunity to not only attend the workshop that the Sherrills were hosting, but to have her manuscript critiqued by these accomplished authors. Having her work assessed by such renowned authors and the other delegates present was a real eye-opener for Debbie. While it showed she still had a lot to learn about writing well, it was also exciting to discover her story had great potential. The process of rewriting and polishing up her manuscript was hard work but it was worth it in the end. In November 2009, Voyage of the Redeemed received a first acceptance from Melrose Books publishers (a mere 3 months after Sean sadly passed away) and was officially published a year later. Debbie McDermott admits she could never have written my book without the encouragement of her husband or the valuable input from New Zealand Christian Writers. The collective provides so much for its members through its magazine, writing competitions, tutorials, writers’ groups, seminars and retreats, as well as through members simply networking with each other. It was a combination of these things that led Debbie to become such a talented writer. 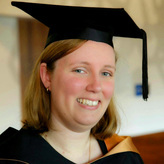 Emma Seabrook is a columnist with Christian Today and an administrator with a Business Degree. Emma is now studying a degree in nursing. Emma has a passion for Christ and an interest in reading, writing and music.